Perfectly sized bottle. I use it everyday. Fits nicely in my bag for work. Serves a good amount of pre workout or idealraw protein! I’m glad I didn’t pay extra for this. The bottle came free with my order, and it will probably collect dust in my cupboard. It looks super cheap and the lid doesn’t stay closed.👎 I definitely prefer the “real” Blender Bottle to this. 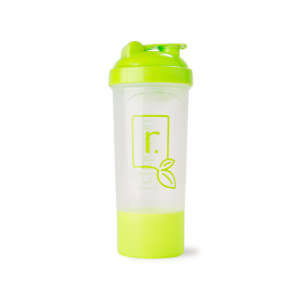 Works just like all my other blender bottles, wonderful to have it to add to my collection. I like to have a mutiple bottles in my house cause everyone uses them and everyone likes this one , it gets used pretty much every day.